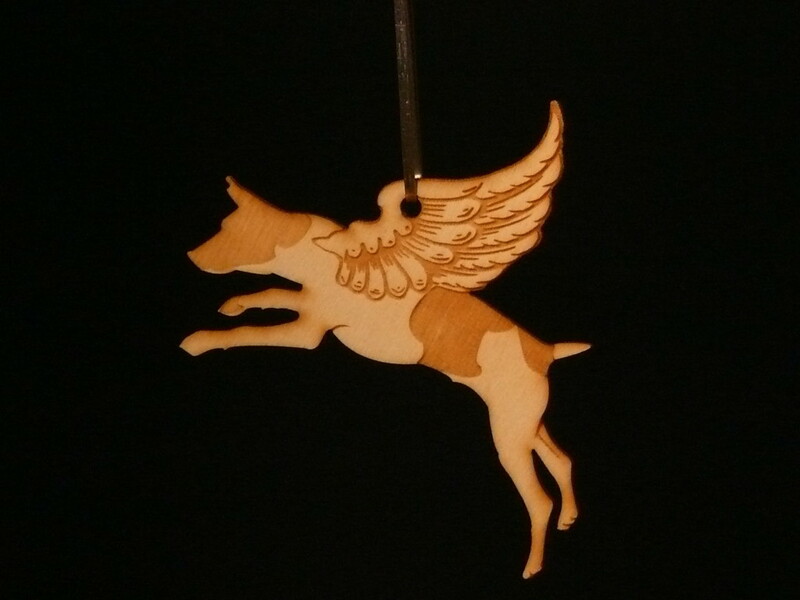 A hanging ornament featuring a Jack Russel in mid leap. Engraved on poplar plywood. 9.5cm nose to tail.